Bora Bora, Moorea and Raiatea in the Islands of Tahiti took three of the five spots in the “Top Islands” category in Travel + Leisure’s “World’s Best Awards” – the magazine’s prestigious annual readers’ survey. The Travel + Leisure 2014 World’s Best Awards readers’ survey reveals readers’ favorite hotels, cities, islands, cruise lines, airlines, car-rental agencies, spas, safari outfitters, and tour operators and are now listed on www.TravelandLeisure.com. Several resorts and one cruise line from the Islands of Tahiti were recognized on the Worlds Best Vacation Destinations! 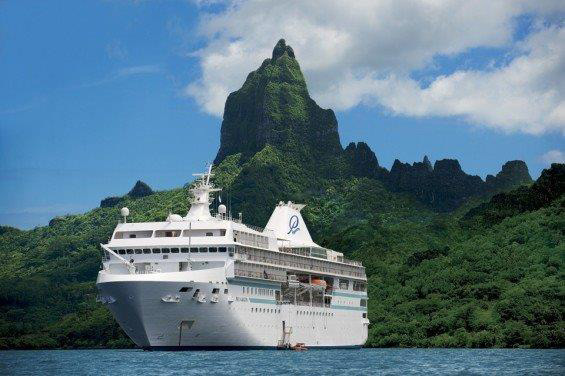 Paul Gauguin Cruises, operator of the highest-rated and longest continually sailing luxury cruise ship in the South Pacific, the m/s Paul Gauguin, ranked number one in the World’s Best Cruise Lines/Small-Ship Cruise Lines category. Read more about Paul Gauguin cruises. Windstar Cruises came in at number three in the World’s Best Cruise Lines/Small-Ship Cruise Lines category . In the Top Lodges and Resorts in Australia, New Zealand, and the South Pacific category, Four Seasons Resort Bora Bora came in at number two, followed by InterContinental Bora Bora Resort & Thalasso Spa and the InterContinental Moorea Resort & Spa. Four Seasons Resort Bora Bora was number one on the Top Hotel Spa in the Australia, New Zealand, and the South Pacific category.